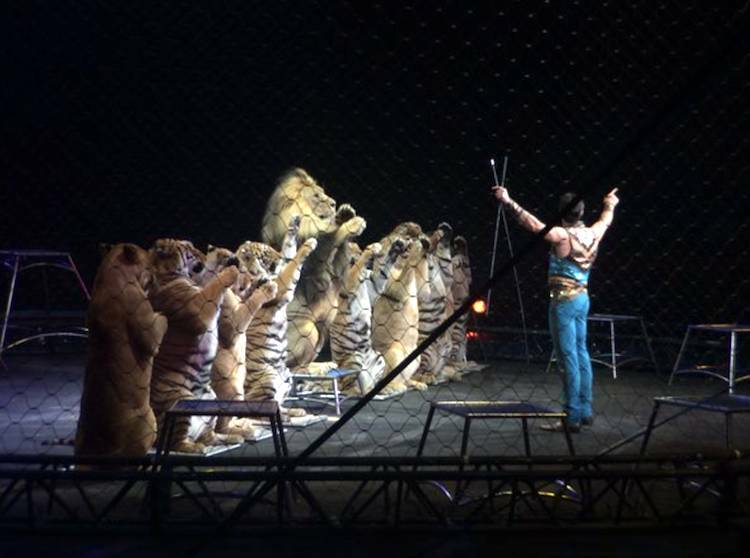 Will Feds Permit Ringling to Send Endangered Cats to German Circus? Ringling Bros. and Barnum & Bailey Circus has closed, but it still needs to find new homes for some of its animals. Ringling’s recent bid to export protected lions, tigers, and a leopard to a German circus reveals deep flaws in the way the Endangered Species Act (ESA) is being enforced by the U.S. Fish and Wildlife Service (FWS). All of these animals are imperiled in the wild and, as such, are supposed to be protected by the ESA. The ESA applies equally to captive and wild animals for good reason. When it was enacted, Congress recognized the connections between the exploitation of captive animals and species survival. Every day we learn more about how deep these links run, including how exhibits featuring endangered species in close contact with humans can undermine legitimate conservation efforts. Exporting these cats for circus performances not only fails to meet the threshold requirement for an ESA permit — that it help the species — it actually undermines the purposes of the ESA. Because of this, FWS shouldn’t be able to lawfully issue the permit.